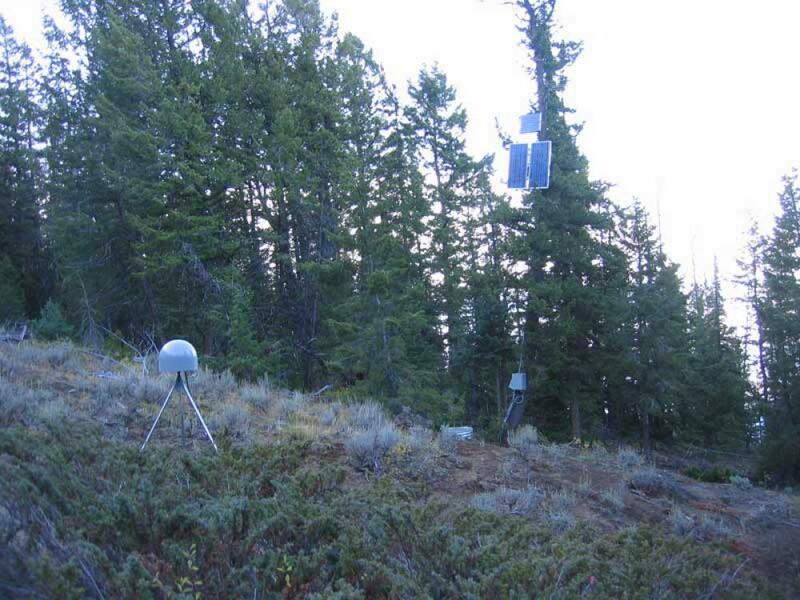 A GPS site located on the Promontory in Yellowstone National Park (P709) was successfully completed during the last week in September. The Promontory is a peninsula between the South and Southeast Arms of Yellowstone Lake. 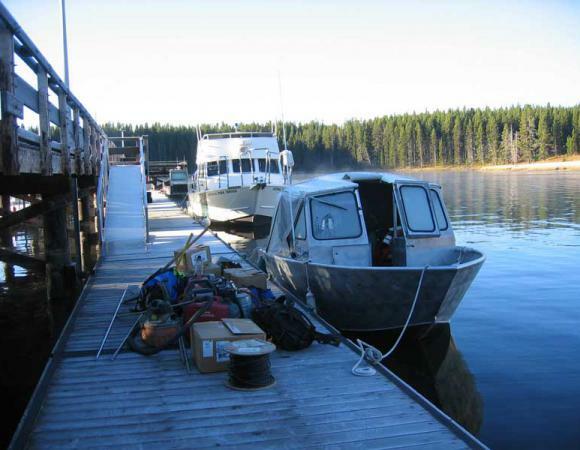 Because of the location and accessibility, this site has been thought from the beginning to be one of the most difficult YNP sites to permit and install. The installation of this station was scheduled for spring of 2006. 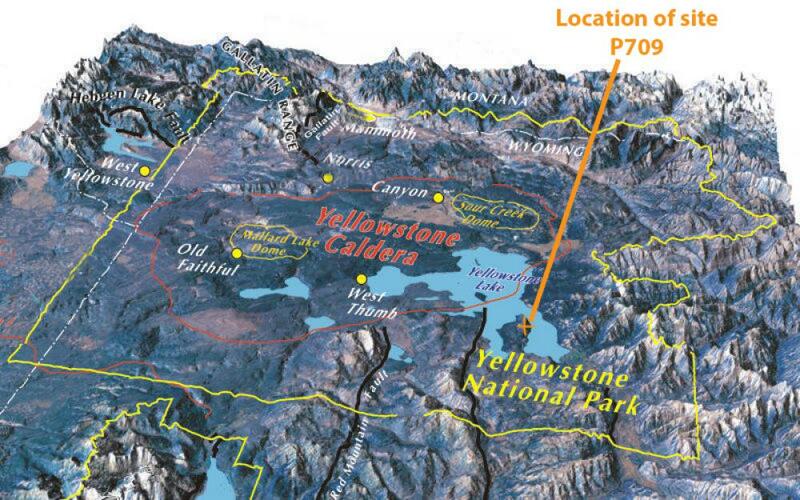 However, the priority of the installation was elevated via a scientific request from PBO Magmatic Systems investigators and Yellowstone Volcano Observatory (YVO) staff due to recent tectonic activity around the lake. 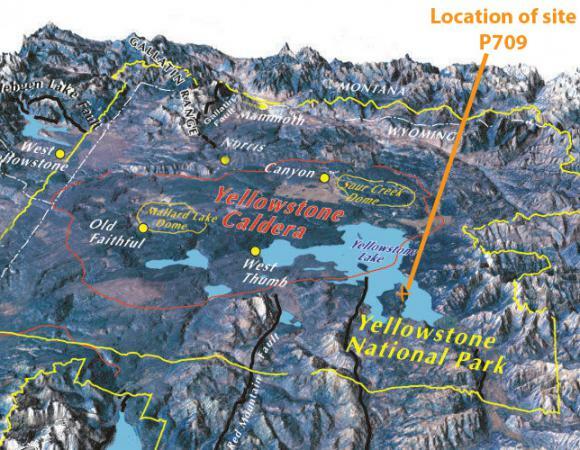 The site was completed through the coordination of the University of Utah, PBO, and the YNP Resource office. 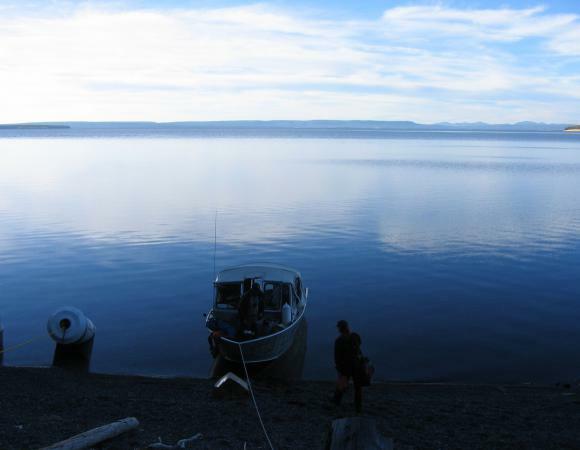 A 30-45 minute boat ride across the chilly lake (largest lake over 7000’ elevation) is required to visit the site. 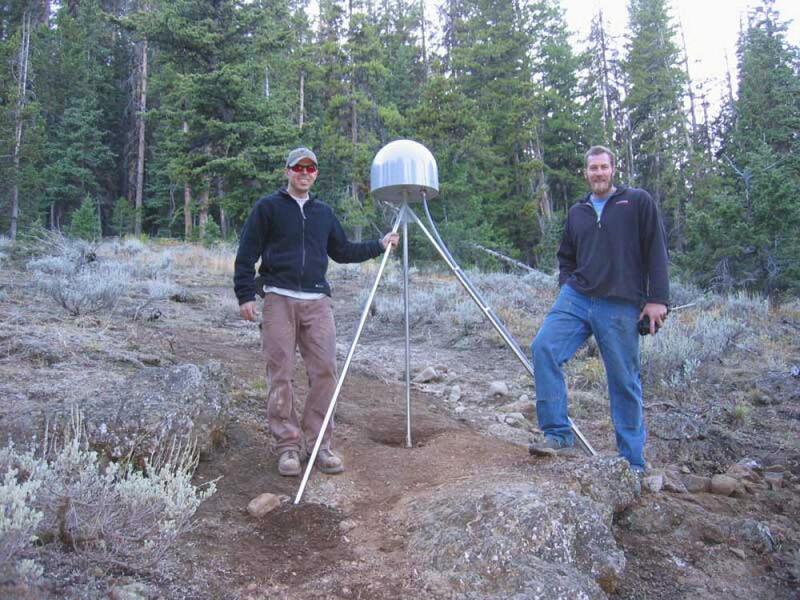 Once at the beach of the Promontory, PBO engineers David Kasmer and Max Enders, with assistance from YNP employees, hand carried the heavy installation equipment (about 800 pounds) approximately 300 meters through a very steep, thick forest. 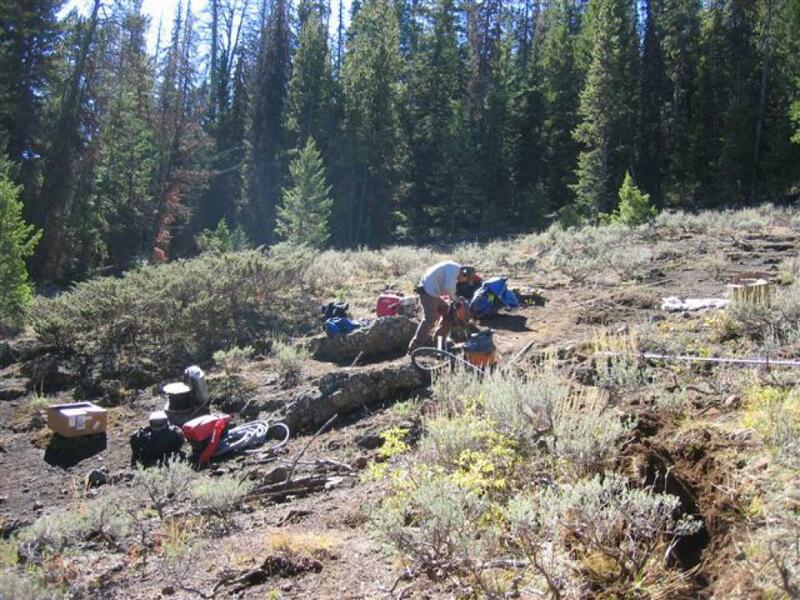 Besides a few broken tools, the team installed the short-drilled braced monument relatively easily. 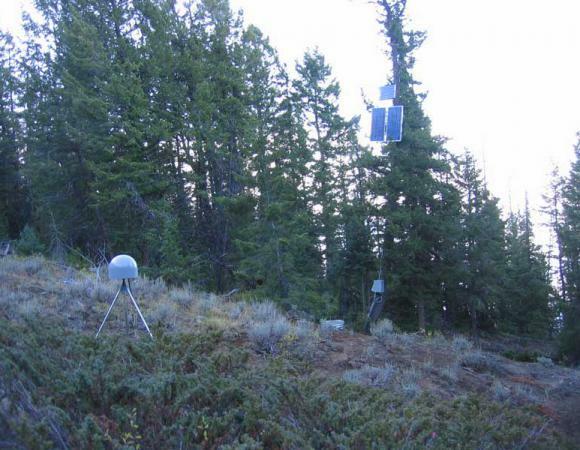 The University of Utah assisted with the power system, attaching the solar panels to a tree about 25 feet off the ground to ensure direct access to sunlight above the thick tree lines. By 5:30pm, David and Max had completed the installation, successfully set up the communications, and boarded the small boat to leave the Promontory. 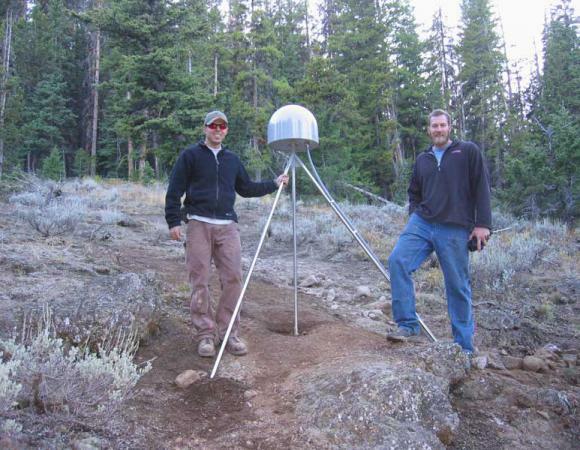 Data are transmitted by radio to a communications site at Mount Washburn. PBO sends a special “thank you” to everyone who assisted with the coordination and logistics to make this installation possible.